It was a great pity to hear toilets in Battle and Bexhill were subject to vandalism at the end of December and January. I sometimes wonder if vandalism would at least be reduced, if notices were put up reminding people what it is like to be desperate to find a toilet and asking them not to be thoughtless and damage a valuable community asset. I am sure someone could devise a humorous cartoon, which might amuse as well as give time for thought. As for Rod Came, writing in from Brede, he is possibly the one who needs to get real. I think it likely if he enquired at the De La Warr Pavilion about where their audience come from, they would find it is not an attraction which serves Bexhill alone. Also I would like to know where he gets the idea money is being thrown at our town centre – at our seafront, yes. But if he looks at the Bexhill Observer letters page for last week, he will see a picture of our seafront before Rother threw money at that. Many in Bexhill believe it was far better on the promenade before Rother threw money at that and at the wind tunnel shelters! 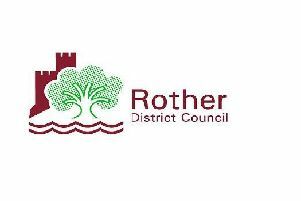 But, of course, if Rod Came really wants an answer from the horse’s mouth, he should ask Maynard, whom I believe is his ward councillor and who is, as many in Bexhill know, the leader of Rother District Council. He might like to ask him, at the same time, why is he is opposed to Bexhill having its own town council? Many of us do not like decisions about our town being made by outsiders. Let Rod Came see if he can persuade Maynard to get real about our town council.